Windham – The recently merged RE/MAX Innovative Properties is set to unveil its 5th location in Southern NH. 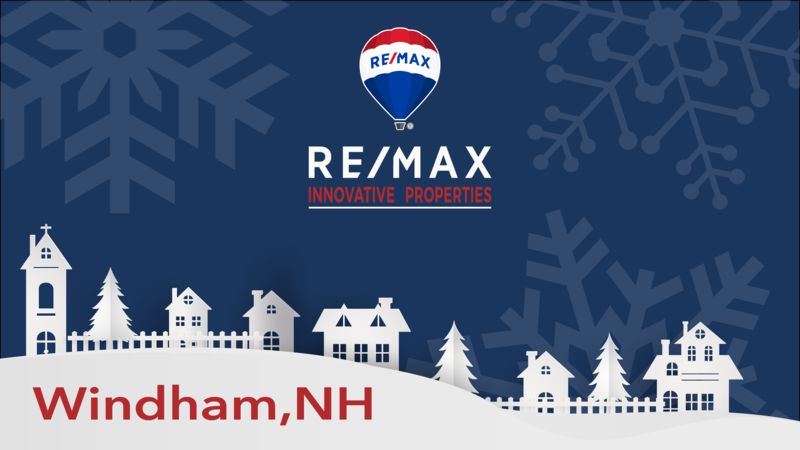 The Holiday Themed Grand Opening of the brand new Windham Real Estate Office will be Thursday, December 6th. When RE/MAX Innovative and RE/MAX Properties merged back in September of this year, plans for expansion were already in the works. With locations already cemented in Nashua, Londonderry, Pelham, and Hollis; the new ownership team turned their focus to the Windham real estate market, where they had begun laying the foundation for their 5th location. Located at 22 Haverhill Road in Windham NH, the newest addition to RE/MAX Innovative Properties will be a RE/MAX Collection office. The Collection distinction is given to offices that, in addition to providing their customary high-level service, also specializes in the selling of luxury homes. Windham will be the second such office with this distinction under the Innovative Properties umbrella, with Hollis being the first. The responsibility of managing the office will be placed upon Lori Gagnon. Lori has been part of the RE/MAX brand for 15 years and is licensed in both New Hampshire and Massachusetts. “The Grand Opening is truly a special event for all of us. We are so excited to be a part of the RE/MAX Innovative Properties team and look forward to growing the office and serving our community,” she said. The Grand Opening is scheduled for this Thursday, December 6th from 5pm -9pm at 22 Haverhill Rd, Suite 3, Windham, NH. The event is open to the public, hors d’oeuvres and cocktails will be served. Those who wish to join may RSVP Here.